Seamus Coleman says the Republic of Ireland squad are not happy with their form having won just once in their last nine matches. 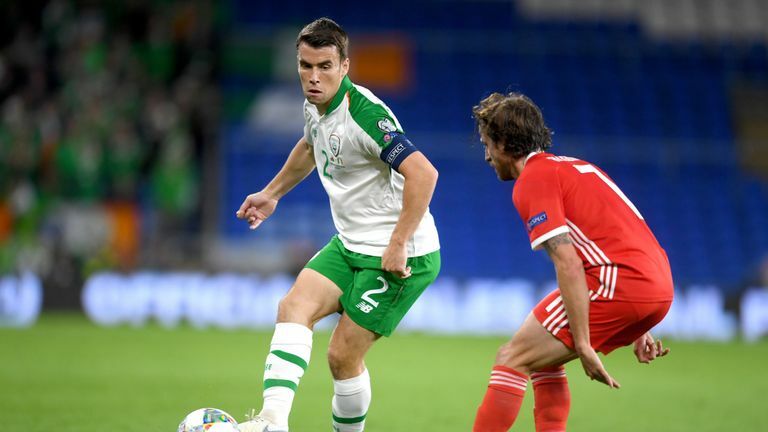 Seamus Coleman insists the Republic of Ireland are undergoing a "transition period" having won just one of their last nine matches. Since losing 5-1 on aggregate in the World Cup qualifying play-off to Denmark last year, Ireland's only taste of victory has come in a friendly against the USA back in June. Ireland return to Denmark on Monday in the Nations League, but will first look to end their four-match winless streak when hosting Northern Ireland on Thursday - with both matches live on Sky Sports. And Coleman, who is back in the Ireland set-up after missing their last three matches, is targeting two positive results before the Euro 2020 Qualifiers get under way next year. "We've played some good teams in the last year, but no secret about it, we're not happy with some of the results and performances," he said. "Robbie Brady is back out there which is a great boost for us, and we're starting to bring in some new players. "There has been a bit of a transition period. It will take some time and that's why we're hoping we can have two positive results or performances this week going into the Qualifiers on a positive note." 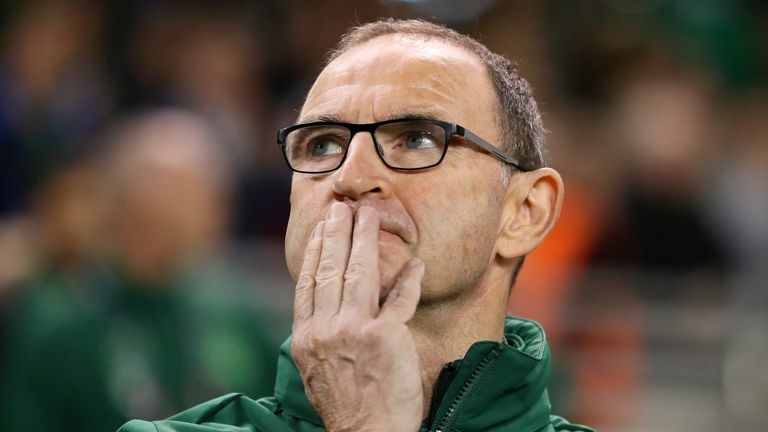 Ireland's struggles in front of goal have contributed heavily towards their poor run, with Martin O'Neill's side scoring just five goals in their last nine matches. As they look to reverse their fortunes, Coleman says the whole squad must take responsibility, especially as players like Robbie Keane - the country's all-time top goalscorer - do not come around often for somewhere like Ireland. Coleman added: "Look, Robbie Keane doesn't come around all the time, that was a special talent for us as a country. "Now, at the moment, we are going to have to share the goals around the team, it's something we have to take responsibility for, the midfield players, the strikers. "I don't think you're going to see a Robbie Keane for a long time so it's important that we have players who will dig in with two or three goals here or there. "I fully believe we have players capable of that. James (McClean) has scored some big goals for Ireland, Robbie Brady will score some goals, Callum (Robinson) is scoring for Preston - let's hope we can see some lads scoring with the national team."